5 Signs You’re A Real Live Ambivert! 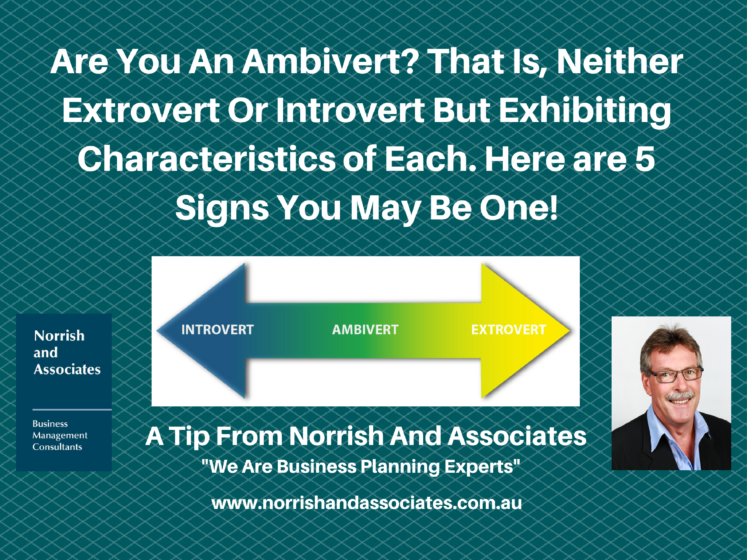 Home / Leadership / 5 Signs You’re A Real Live Ambivert! Maybe You’re Not An Introvert OR Extrovert After All! We’ve got some seriously fascinating facts to share with you today, friends. There is a new-found personality type in town, and it’s getting some major recognition. You’re familiar with the two well-known personality types, introvert and extrovert, but the shocking fact is that most people are neither. Rather, they fall into the ambivert category—which actually comes with a lot of advantages. So, are you an ambivert? Read Jessica Stillman’s article to find out.